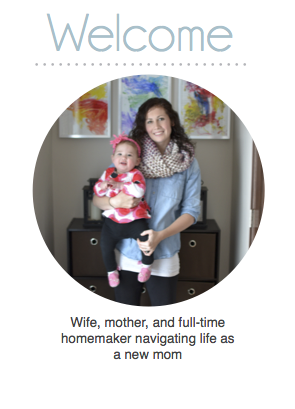 In those first few months as a new mom the last thing I wanted to do was spend precious time planning a party. I would have much rather spent my free time sleeping. Therefore, I kept putting off Grace's Baptism planning until a week before the big day. Big mistake! I was frantically running around town gathering decorations and baking up a storm in the kitchen. Luckily, I had a lot of help from a great friend and we were able to pull it off. The morning of the Baptism was crazy. We had to be to church by 10:00, so that meant all of the decorations had to be in place, food ready, and baby dressed. Yikes! Somehow I was able to pull it off with time to spare. 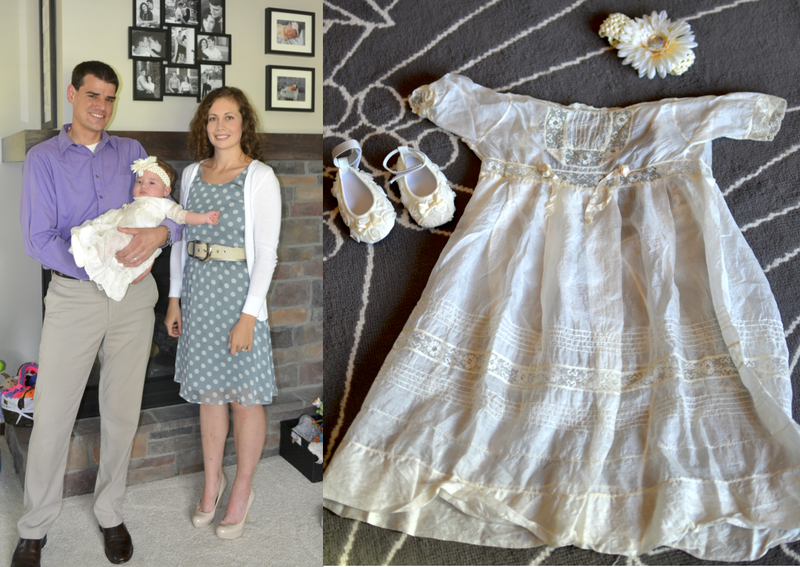 Grace wore an 85 year old gown that was worn by both my grandfather and me during our baptisms. I was really worried that Grace would not fit in the gown as she was almost 4 months old at the time. On top of that the fabric is extremely fragile and almost paper thin. Luckily, our family is known for big babies, and she fit but not by much. We had the party outside on our patio and erected a tent in our yard for extra shade. The weather forecast that morning called for rain. My biggest party planning fear. Thank goodness the weather held out as I was terrified of having 30 people uncomfortably crammed inside my house. Of course the threat of rain came with wind. A lot of wind. My poor decorations did not stand a chance. At least the tables looked nice for a little while. It wouldn't be a party without a dessert table. I love to include a dessert table at every party I throw. The guests love the variety and I get to showcase my theme decor. Plus who doesn't love dessert.